Simple to make. Delicious to eat. 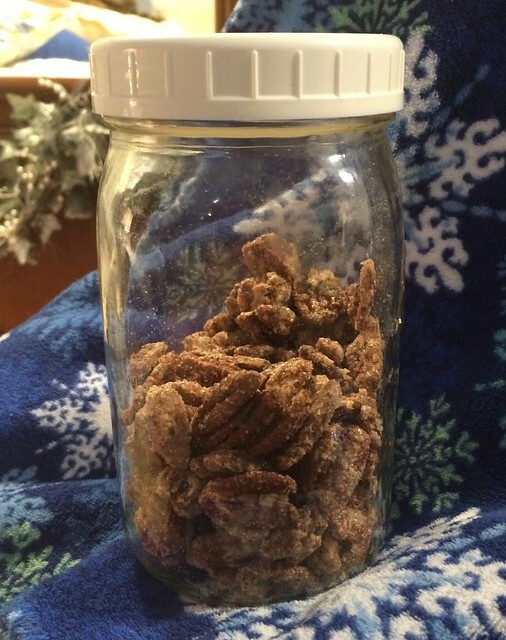 Candied pecans are a great gift for teachers, service providers, hosts, etc. 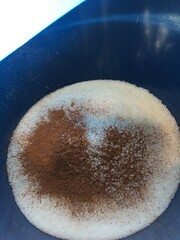 In a small bowl, mix the sugar, cinnamon and salt together. 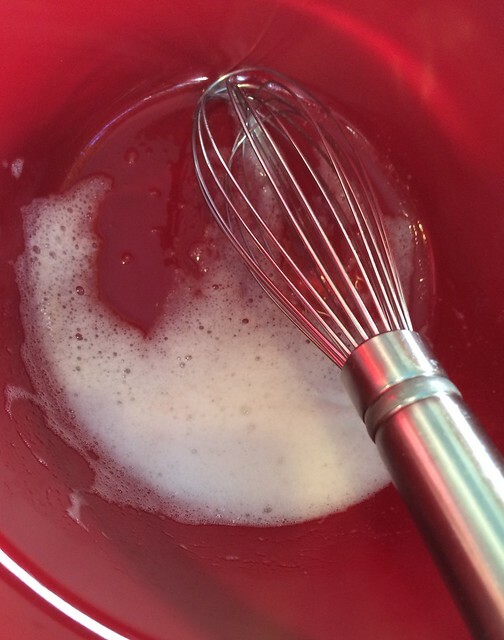 In a larger bowl, whisk the egg white till white and foamy. Add the pecans to the egg white and stir till pecans are well coated. 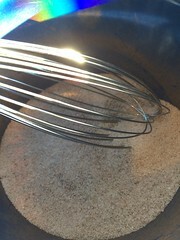 Pour the sugar mixture over the pecans and mix well. 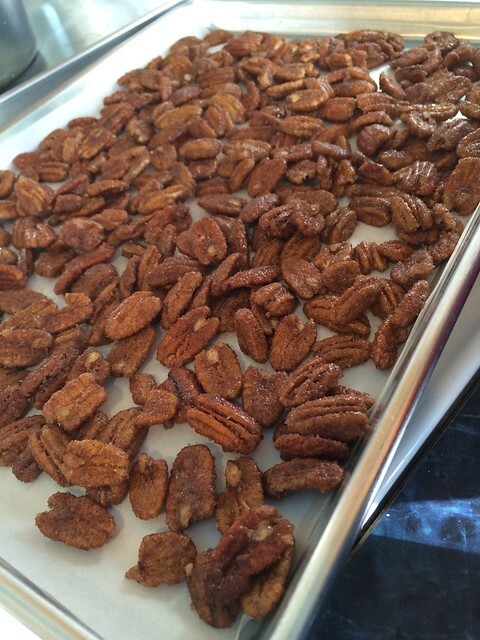 Spread the pecans on a cookie sheet lined with parchment paper or foil. No need to oil the pan, the paper or the foil. Bake for 20 minutes. 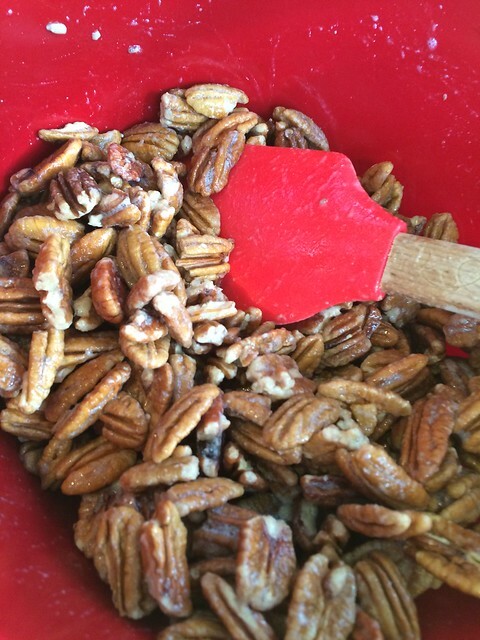 After 10 minutes, stir the pecans to prevent sticking and for even crisping. Remove from the oven and transfer the pecans to a large bowl, breaking up pieces that are stuck together. 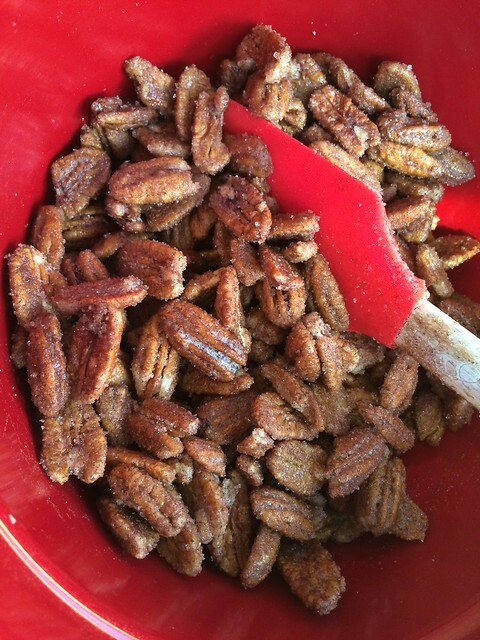 Stir the pecans a few times, as they cool. Store in jars or air-tight containers. Makes 4 cups of candied pecans. They store well in a quart size canning jar. Also a nice way to gift them! This entry was written by ~~Rhonda, posted on December 16, 2015 at 1:14 am, filed under Christmas. Bookmark the permalink. Follow any comments here with the RSS feed for this post. Post a comment or leave a trackback: Trackback URL.